You could also give the backplate area a whack with a piece of wood with the case hot as well - this has worked for me in the past as well. The fact is the aluminum case will expand more than the bearing when heated. Clearly there is crud around the bearing race and crankcase that is acting like glue. It will come out, it’s just gonna take more finesse and possibly using some out of the box methods. Where there’s a will there’s a way. 1. 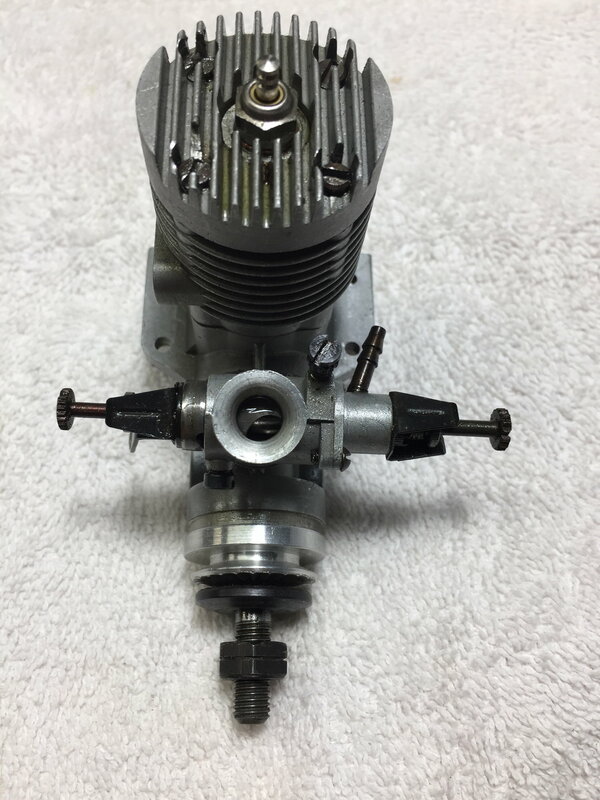 The first engine has ABC piston/sleeve, lower compression head button, EZJust carb, built-in spinner, and the Quiet Muffler. 2. 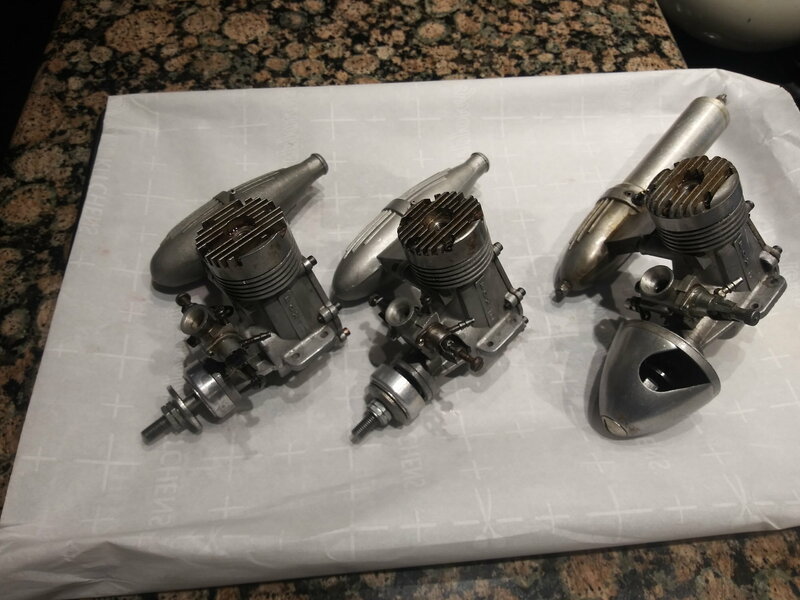 The other two engines have the iron piston/steel sleeves, MkX carbs, and low nitro head buttons. I will have to bench run them this Spring when weather permits. 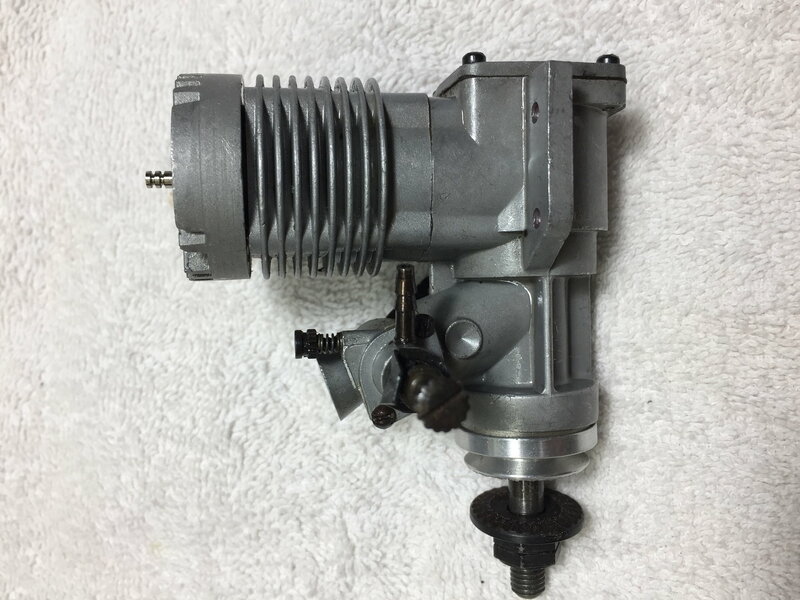 Is there a source for parts for Fox engines? specifically a Fox 40BB. I'm new to this group so I hope I'm not asking a common question. Fox parts are hard to come by. If Mecoa doesn’t have them, try eBay or the forum classifieds. Put out a “wanted” ad. However, if all you’re looking for is o-rings and gaskets, I suggest making your own gaskets and get new o-rings from theoringstore.com. Make a list of what you need and carry it to your next swap meet. I picked up a Fox .46 w/ the air bleed carb for cheap and passed on a .40 at $30 (I think it was that much). I have seen many Fox engine parts for sale still in the original packaging. Like what was said above, I wouldn't try to find gaskets (make them) and bearings are very easy to find. I tested 2 of my C-case 40's (lapped iron piston/steel sleeve) this past weekend after replacing the bearings. One engine put out 13500 rpm but the second engine maxed out at 12300 rpm's only. The only thing I can attribute the difference to is piston wear. Both engines have the same exact cylinder measurements but the slower piston is 0.03 mm smaller due to wear. Although I expect loss of compression due to wear, does 0.03 mm make that much difference in performance? I guess it would be nice to get a new piston and circlips for it. I found circlips at the MECOA site for this engine, but not pistons. Last edited by hsukaria; 04-15-2019 at 10:36 AM. 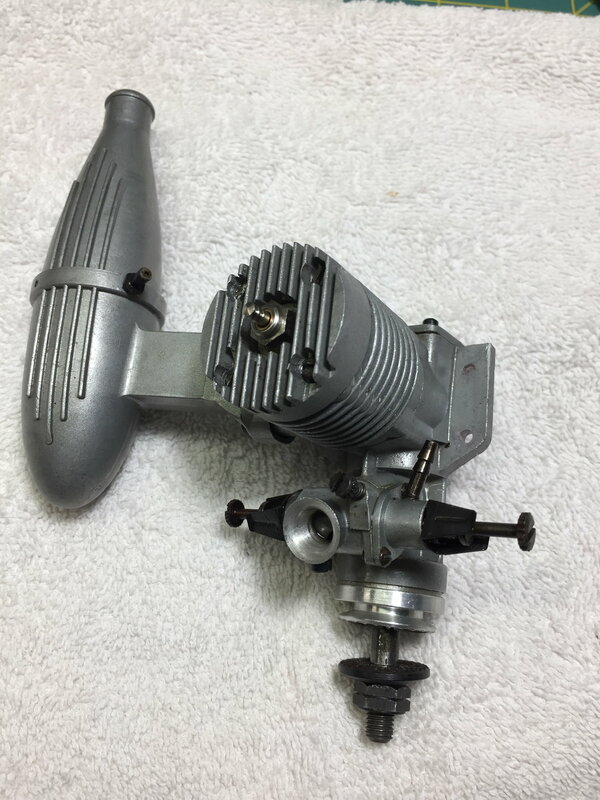 I recently acquired my first Fox engine , a 25 BB R/C, at a swap meet .The engine has no markings to indicate that it is a Fox, nor any stamping on the mounting lugs to indicate capacity. It has the tilt-up muffler and MK-X carb. I ran the engine on the bench with an APC 10X4 on Cool Power 15%. Full throttle gave me 7900 rpm and 5400 rpm on idle. The figures recorded seemed way off. 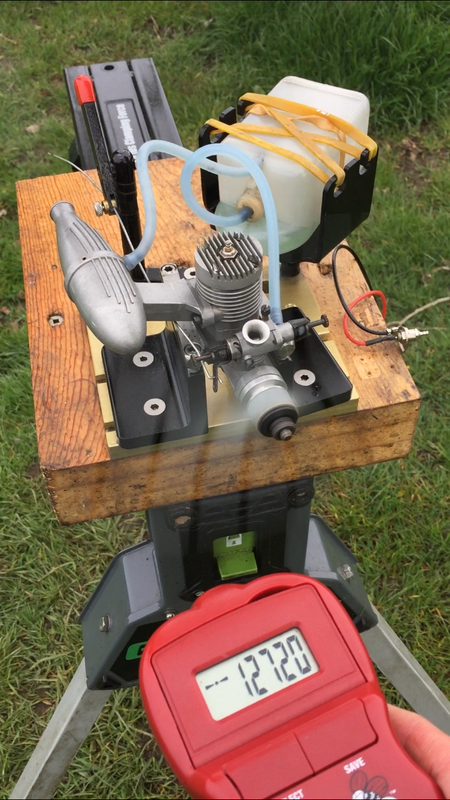 I have attached some images of the engine and the exhaust port. Other than the larger prop and synthetic fuel ,which was what I had on hand, any suggestions on what was causing the skewed results? Compression is strong, plug is an OS #8, HS needle was adjusted for max rpm , LS needle was adjusted for smooth transition and lowest steady rpm. Engine run was messy with fuel/oil spitting from the muffler and front bearing areas. Surprisingly, the engine running without muffler seemed quieter than some of the diesels I run. I took a picture of the exhaust port as I am intrigued by the size of the exhaust opening in the liner. It seems too small and restricted and wondering if the position of the liner is incorrect. In my Google search, I have not come across a picture of the exhaust port for the Fox 25 BB so am not sure what it should look like. Does anyone know how to tell the Fox Quickie .40 Special from the Quickie Sport? I know the Special has the larger carburetor and radical timing, but assuming neither engine has a long tuned or standard muffler bolted on, HOW can a person tell them apart by appearance?? Both engines have the letter 'Q' stamped on the side. I decided to take off the button head and check the exhaust port. It was not in the right position. The transfer port opening position was switched with the exhaust opening. Running the engine after reassembling, I recorded an idle of around 3050 rpm and a high of around 12650 rpm. 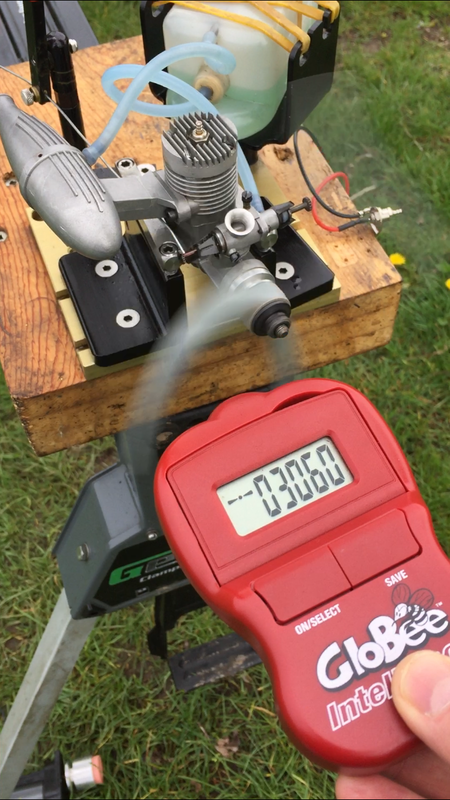 I used the same fuel as before, Cool Power 15%, but changed the prop to a Graupner 9 X 5. 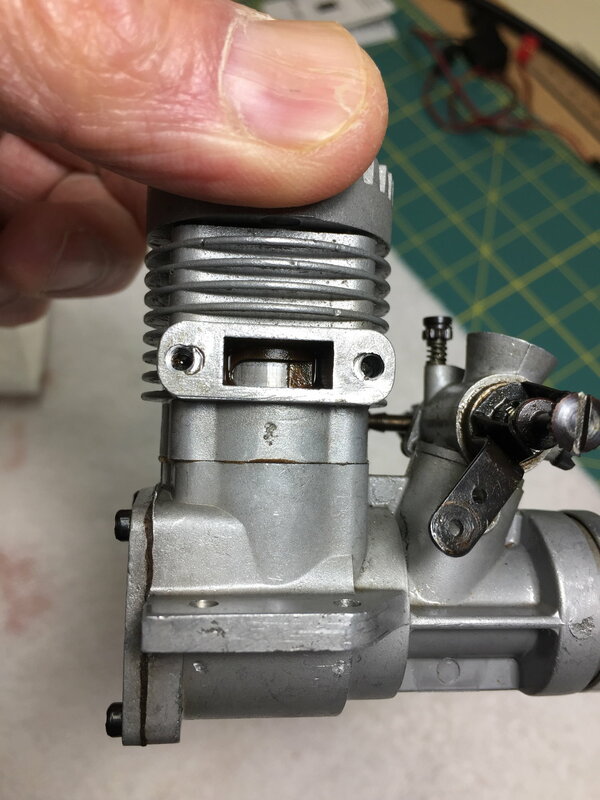 I also added an O-ring under the carb, and a muffler gasket and it reduced the oily messiness, although, I suspect it is still leaking oil from the front bearing area. Best of all, the Fox "bark" is now noticeable! I still have to figure out how to eliminate the HS needle "wobble" as it affects the rpm on the high side. I tried a short length of fuel tubing to stabilize the needle and rpm but it doesn't seem to be helping. Any suggestions are most welcome. 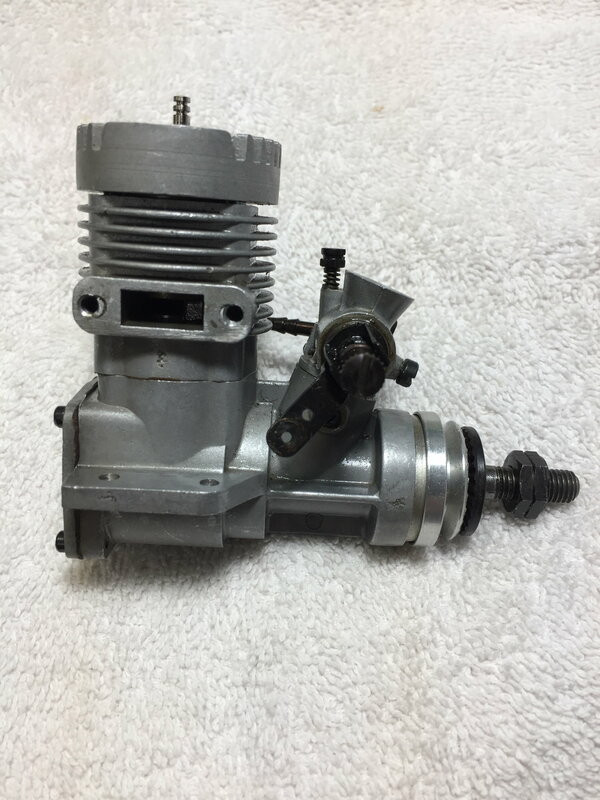 On a side note, has anyone used a different brand of carb on the 25 BB? Thanks. Fox 25 BB r/c "barking"